finished! 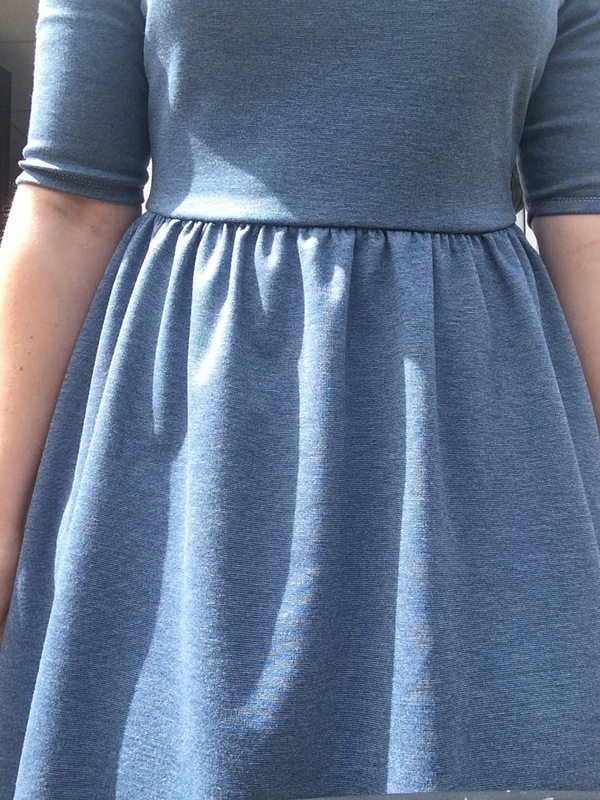 my new favourite dress, moneta. i’ve been quite for a couple of weeks, my hayfever is killing me and after 8 hours struggling at work i just don’t feel like doing much when i get home. 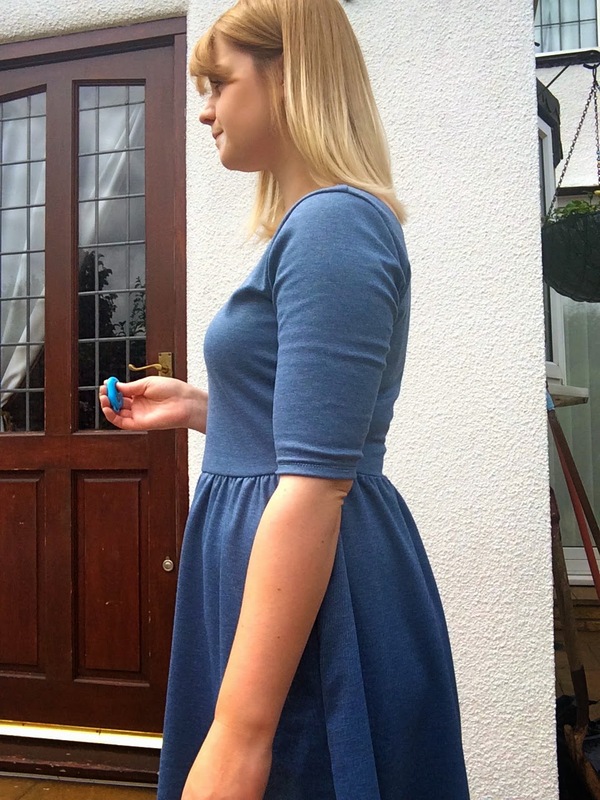 however, after seeing all the pretty moneta dresses popping up every where, i needed to make one for myself. i got the fabric from calico laine, i like them, they’ve got a pretty good choice and their delivery speed is SUPER FAST. also i love rainbows and they’ve got some rainbow text going on. i like that. it’s a pretty heavy double knit (i think), a nice blue colour. i live in a colour palette of blue and grey so this fits in nicely! i decided to take all my pictures outside because it’s pretty sunny today. i thought the plain wall behind me would be good, but it turns out you can see the majority of the house along with the brooms and shovel haha. i’ll find another place next time. the picture on the top is without the walking foot, and the bottom is with it. as you can see, the fabric stayed lined up perfectly with the walking foot, so there was no contest about whether to use it or not! i used a stitch on my machine that’s one of the “special” stitches, it’s like a triple straight stitch, maybe? well, it stretches anyway. i will never get over the satisfaction of getting a sleeve to lie perfectly the first time. i did manage to sew one sleeve shut! i’ve bought a twin needle but god knows where i put that, so i just ran two lines of the straight stretch stitch around the sleeves. i’ve never bought a colette printed pattern before, but i love the booklet, the instructions were clear, and i managed to use my little sewing box as a book stand! i got this from guthrie and ghani last weekend, more about there on my next post! the bit i had difficulty with was using clear elastic for the waist. it took me three tries to get it right, i managed to snap it twice and the gathers were just so uneven. third time lucky eh! a close up of the offending difficult gathers. as soon as i started taking these pictures, my little photography assistant decided to make an appearance. 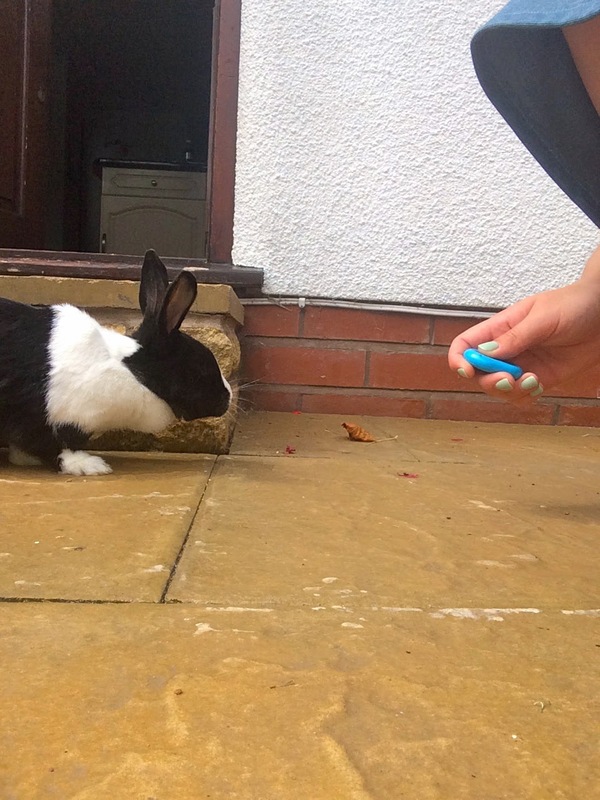 she’s investigating my new favourite gadget – it’s a shutter remote for my iPhone! i’ve got a camera that i love but i can’t get a remote for it which is really annoying, thank god for ebay and it’s £8 wonders. i didn’t want to keep having mirror pictures for my blog all the time! 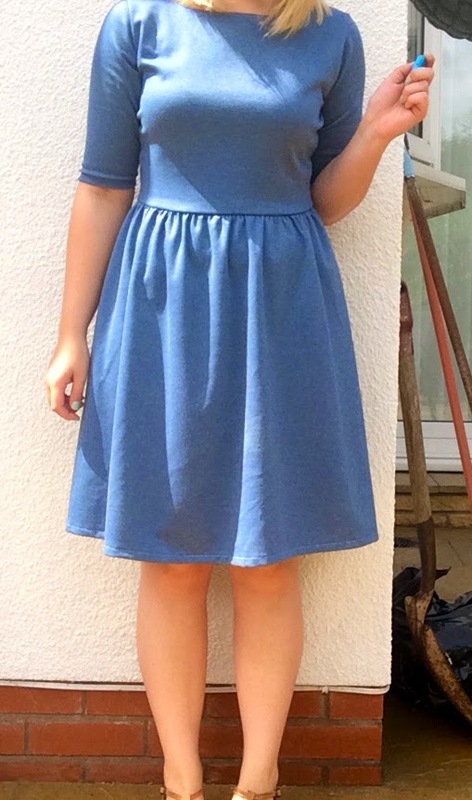 to summarise, i love this dress! 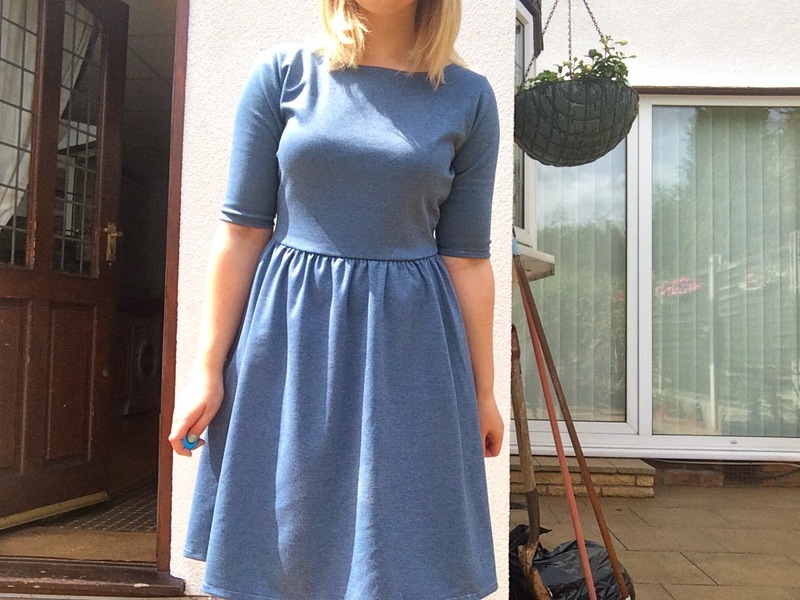 i’m going to london with my boyfriend’s sister in a few weeks so i’m definitely going to be buying a light weight knit to try a more summery version of this with the short sleeves. 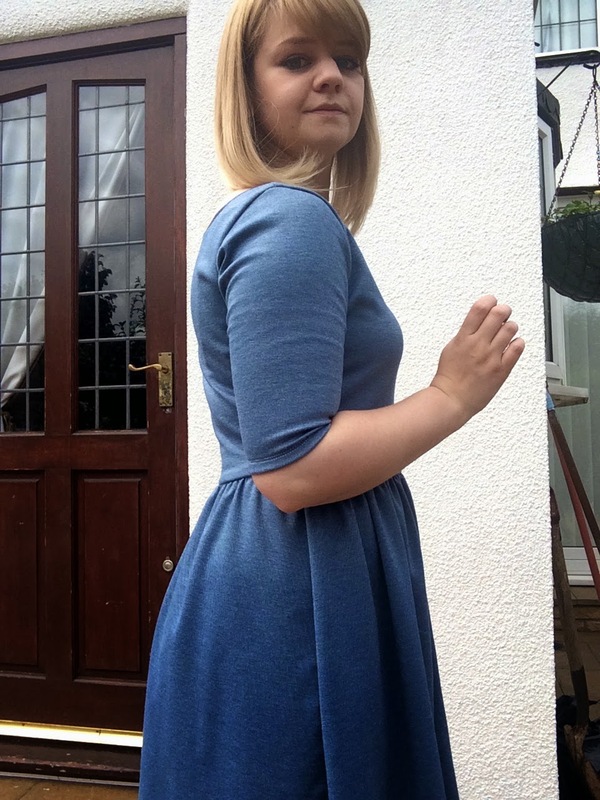 i’m calling this my winter moneta as the fabric is pretty thick and it’s got longer sleeves.